Everyone knows someone that is a DJ today, and the population is just growing. So, survival is of the essence in this industry. DJs today have to do a lot more than just focus on music to stay ahead in this zippyshare generation’s DJ rat race. 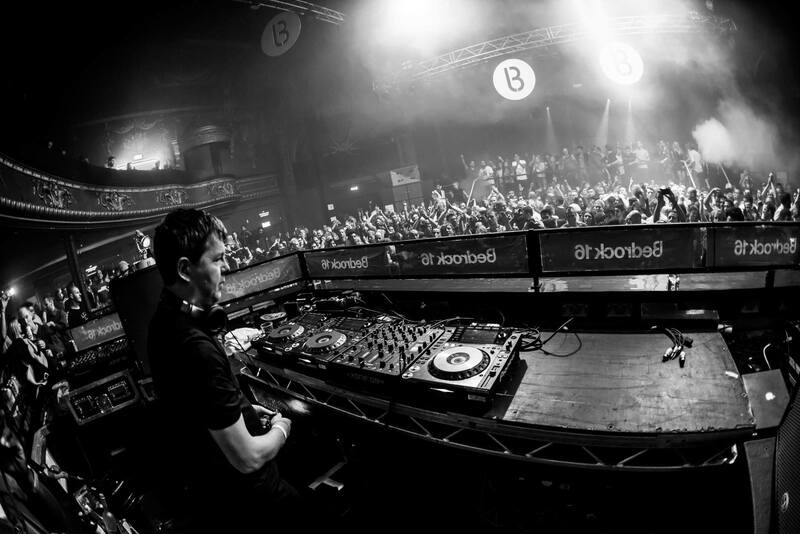 I’ve put together these these tips that have hugely helped me shape my DJ career. Here’s a comprehensive list of definitely do’s for an enduring DJ career! It can come in handy to have access to your music, even if you’re a digital or ‘vinyl only’ purist, having at least some of your music on a USB stick is always a good idea. You’re at a festival to go see you friends play, the promoters decide to have an unofficial after-party, you’re asked to play too if you like, but what a bummer if you don’t have any music on you. Also, that odd moment when the chain of command in your digital setup decides to break, or you have a missing USB cable, all hail the USB and CDJs. By listening to your archived recordings, not only will you be able to improve yourself, but also analyse how your musical tastes have evolved over time, assess your best performances, remember tracks you’ve forgotten about and have material to share for your audience on social media. Sure you’ve played enough parties, know how to warm up, mix flawlessly across multiple genres and hold a residency. Staying upto speed with the development of latest musical, technological and social tools will keep you on top of your game. Your best sources for legit information on these things are blogs, forums and YouTube channels, but don’t hesitate to check with your local area geek to find out what the coolest gear from NAMM this year is. This know-how also serves as great fodder to jump into a conversation with your colleagues when you’re actually discussing music and after the men to women ratio at the last party. You might end up discovering a feature you didn’t know existed before and learn from the way another person uses the exact same gear differently. It can also help you make better informed decisions about gear you’re planning to buy and add more information to your gear repository. Learning to curate music for different situations makes you a better selector. It’s not about just going there and playing the obvious bangers, be able to create a vibe with your music selection for different social situations that even your non DJ friends can appreciate or relate to. You’ll also find this can open up new markets for you by curating music for non club shows, store launches, brands etc. Sure, you’ve honed in on a sound that you’re known for, it’s working great for you. Don’t forget that DJs were originally the mediators between producers and audience. Back in the day it was upon the DJs to present the music to the audience, while the elusive producers hid behind ‘white labels’. So go on, find more of them quality artists that don’t have 10k followers and be the first to introduce them to your audience. You first song may not make it to Pete Tong’s Essential Mix on Radio1, but starting early will give you a great perspective on fundamental understanding of rhythm and harmony. This in turn will help you understand the difference between well produced and poorly produced tracks, strengthening your taste and end results. Look up more on our Producer Courses. Understandably not every one is in it for the same reasons, don’t hate, back bite and trash talk your local scene, it won’t get you too far. As long as you have your beliefs and ethics in place, it’s all good in the hood. There’s nothing more awful than a transition with clashing keys, and even so more when the DJ doesn’t realise it. Certain genres that aren’t heavily melodic usually won’t make it so obvious. But if you’re dealing with material that is heavy on vocals, melodies, audible bass lines then its imperative to mix harmonically or cleverly to avoid dissonance. Understanding this will help you take your craft to the next level, enabling you to do on the fly re-edits, mash ups and remixes. Our Review of Mixed in Key should help you get started if you’re new to harmonic mixing. It’s the single most important thing about any artistic domain. Your taste dictates what you choose to play, and your taste develops over years of critical listening and a combination of our social environments and our nature.Pay attention to more than just the lyrics or energy of the track, dig deeper to understand the tonality and instrumentation of your music, how the structure or arrangement of the track plays an important role. Learn to classify music based on primary emotions that are transcended by it’s creators. The purpose of music is to bring people together, some people enjoy the final product and some just the process of making it. There’s no quantifying talent, a modular synth enthusiast loves to spend his hours patching the system to create obscure stuff that ping-pong’s between breaking and embracing musical rules, a pianist might not want to hear a note that’s detuned even a few cents away from the original unless intended and the DJ Mag Top 10 selectees want to stick to their formulas. Truth is, there’s music made with love and music made for the sake of making it, across every genre. So don’t be juvenile and bash genres, specially on social media and after parties. Don’t be a fanatic and take ratings too seriously, most rating systems are about popularity, and needless to say, the famous aren’t necessary talented and talented aren’t necessarily famous. Make you own judgements, as much as we like to preach about our favourite enterprises, it’s okay to dislike something from your favourite artist or label. No, I don’t mean throwing on the hi-pass filter every 8 bars. Go through your music library and make sure you always have the music you need accessible. It’s a good habit to ensure your files are named and tagged right, so you don’t end up ‘searching’ for a track you really want to play when you’re playing. Also weed out the ones that you aren’t playing too often, and look up those tracks you’ve bought and never played using the ‘Last Played’ feature that’s prominent on every digital DJ platform and music management software out there. I can’t stress on how important this is. Jumping straight onto a digital platform without understanding the fundamentals of phrasing and beat-matching can leave you in situations you’d want to teleport out of when the computer makes a mistake. Music should be the primary focus, letting gear, press shots and black t-shirts take a second seat. Engross yourself in how you can improve your playlists, organisation and discovery of new music. In short, don’t let yourself get off on the “I’d do better if I had better gear” sob story. When you play on a big sound system, it’s like running a microscope over your music, everything stands out, the good and the bad. So, unless you’re listening on a decent pair of headphones or speakers, that don’t over emphasise the frequencies, you can’t be sure if the music will actually sound as good as it did on your Bluetooth speaker at home. A lot of newer labels want to have their music played out to open new markets to their rosters. You can get your favourite label’s attention by playing their music often, even better if you have them on video from a good gig. That opens up a door for you to connect with them and request them for promos. A lot of smaller labels are more than glad to send out promos to deserving DJs. “Hey Sound Engineer ? I was wondering if you have one of those triangle shaped audio pin thing” Is not what you should be saying if you should require an XLR cable. Learn and know some basic audio terminology before you’re chucked out of the booth for “clipping your master” and you don’t even know what the engineer meant. If you’re playing somewhere for the first time, checking out the venue’s social media pages and looking through their previous bookings should give you a fair idea of what the vibe there is generally like. Because sometimes you may have to tailor your sets around to suit the venue you’re playing at. If you’re slotted to play before someone, specifically to warm up it’s advisable to research the artist’s sound so you don’t end up sounding like the closing act even before the warm up. Understanding the emergence and source of your sound is vital. It can help music that is authentic stand out to your ears and identify something that has been done to death over 20 years ago. It can also help you understand the amalgamation of various musical influences. Musicmap should help you get started on your dance music sub-genre expedition. Take time to find out how labels, agencies, promoters, sponsors and other bodies of the industry work. It’s not even necessary to mention how important it is to back up your data. Additionally with super affordable cloud storage and sky rocketing internet speeds, it’s not a bad idea to keep a copy of your most current music on a cloud. Even if the worst were to hit you, you at least have access to your music (barring if you have the bandwidth). Not a bad idea to also include backing up your playlists from all your DJ softwares there. Don’t be too eager to play “your sound” if it’s not appropriate for the slot, setting and line up you’re on. Being versatile (even within your own space of music) works great especially during the early part of your career, and that experience you take with you will continue to reward you for the rest of it. Support your local DJs that are working relentlessly to change things around, but don’t let the lack of opportunity dissolve your artistic beliefs into something just to fit in. Work harder on what you believe, as long as it’s authentic, it will find a way to survive. It can take upto 2 or 3 years to establish yourself as a known artist in the local scene. There is no overnight success with this, and even if there is, sustaining it is another ball game all together. However set yourself some deadlines on where your career should be going with a roadmap of how you’re going to get there. Showing up late to a gig is a terrible thing to do, and could also adversely affect your performance in that state of anxiety of being late. It could have repercussions on the promoter booking you. We’re not talking about the side-jobs you’ve got to keep when you first enter the music industry, but have a plan B for your performance if plan A were to fail. It helps being effervescent with various formats i.e CDJ/Digital etc. Obviously, and don’t push it to the extent that you become the memory of the party and not the music. Also don’t over run your bar tabs that is offered as a privilege. Keep your personal stuff off your artist social networks, specially if you’re washing your dirty linen on Facebook. Don’t use your artist page to address your private feuds, there are always better ways to handle things before you resort to social media. As always I’d love to hear if you have any suggestions, or experiences that have been influential to you.